Coupons have been a mainstay of advertising for more than a century. At this point, it’s commonly accepted that people like deals and using coupons can lead to increased sales. 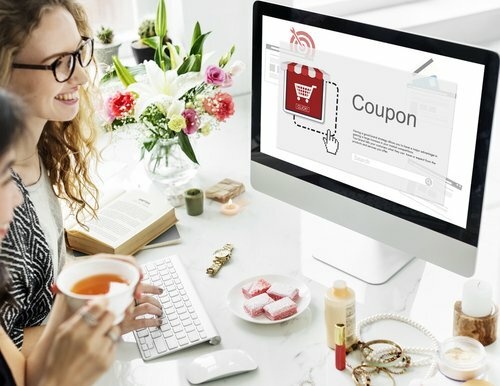 A recent study expands on that knowledge by examining the best ways to use coupons for online and offline marketing. To start with the obvious, people like coupons… a lot. According to the 2K17 Coupon Intelligence study, about 90% of shoppers are looking for coupons both online and offline. Furthermore, it’s no longer just people clipping coupons from the paper before they head to the store. For both online and in-store shoppers, coupons users are searching and using coupons throughout the shopping process. According to the study, one in three shoppers (36 percent) have increased their use of mobile and loyalty card discounts/coupons during the past year. Similarly, three out of 10 (30 percent) of shoppers have increased their use of coupons they find from offline sources like newspapers and direct mail. The increased use of coupons can be related to the continued improvement of the economy. As consumers have more disposable income to spend, they are searching for coupons to make the most of that extra cash. Consumers haven’t unlearned the tricks they picked up during the recession for saving money. And now that they have more money to spent, they are searching for more coupons to stretch that cash even further. The importance of coupons has been known for years, but the researchers feel there is something special to bee seen in this data set. The report had some other pieces of data that can be useful retailers who want to get the maximum effect from their coupon marketing campaign. For example, the researchers found that more than half (53 percent) of consumers scan receipts for cash back rewards. For brands that send coupons to loyalty program members or to past customers, the report has some advice on the best formats to use. Everyone likes coupons, but of the people surveyed just under half (44 percent) prefered to have coupons mailed to them and about a third (32 percent) said they preferred receiving mobile coupons. Another point worth mention is that couponing isn’t just for older people. Everyone likes a bargain. In fact, the study reported that 94 percent of Millennials are couponing. So there really isn’t a single age range that shouldn’t be targeted by campaigns with coupons. So while this study may confirm something most people already know, it’s good to be reminded about how important coupons can be to an effective integrated marketing strategy. Whether it’s online or offline, coupons can attract customers and drive conversions. For more recent research on marketing tactics, read this article on how mobile payments are affecting online and offline shopping habits.